Metallic Gold and silver make for a perfect subtle metallic SHABBY CHIC trend feel without going overboard. Below is some helpful design tips to help create the ultimate impact on smaller items in your home. There are many opportunities to add a gold or silver touch into your current furniture without splashing out. By adding either a gold or even silver shade to your furniture you can create a really unique vintage look. For subtle metallic tones you can use Rust-Oleum Chalky Furniture paint as a base and then also cover using Rust-Oleum Chalky Finish. After this, try using a fine grit sandpaper and gently work on areas to expose the golden sheen. 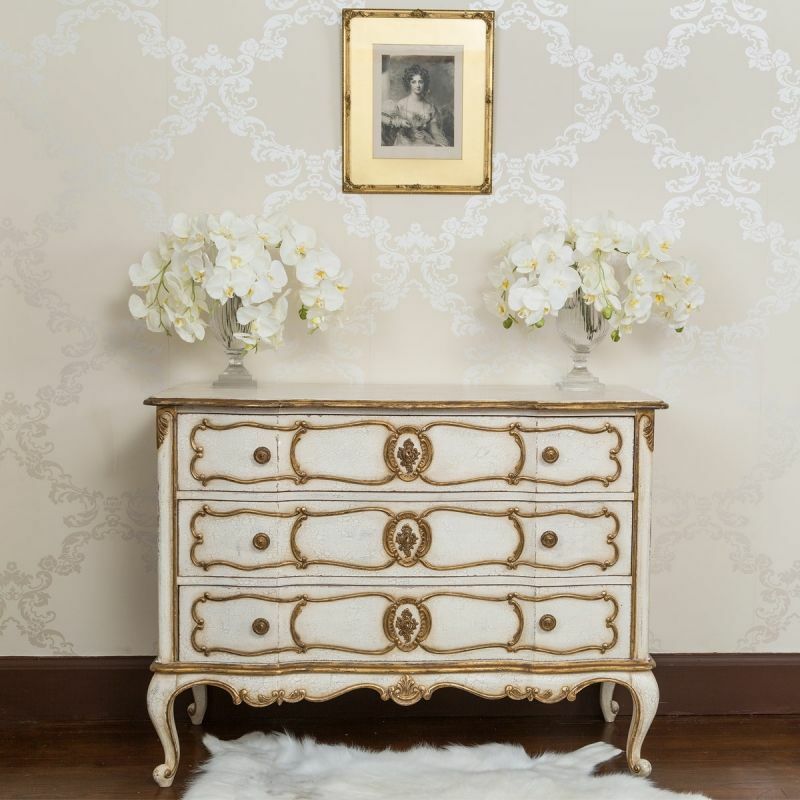 Try adding small gold detail to a classic white drawer set. Doing this can really change the appearance and bring the drawers to life. 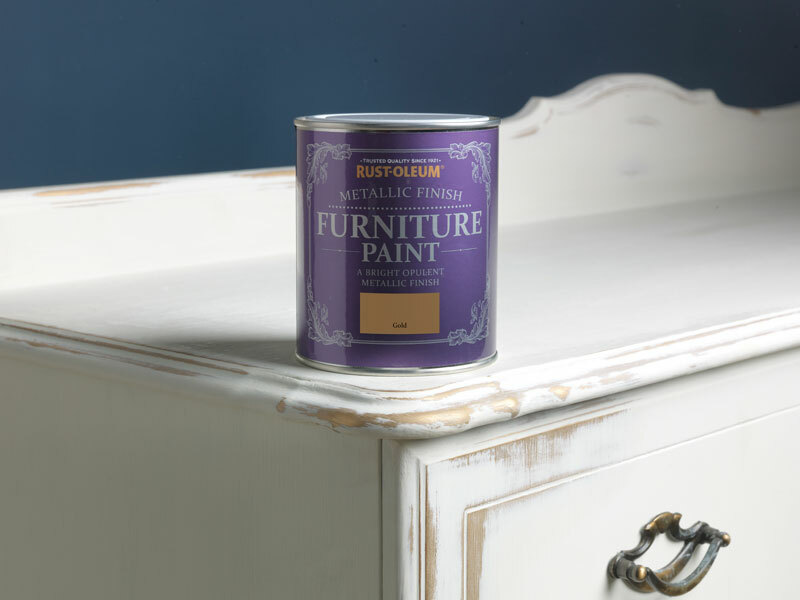 Using a metallic gold furniture paint to add small details onto the edges of older furniture allows drawers to stand out and can also bring a true vintage feel to your home. I would also personally recommend visiting your local charity shops and searching for old photo frames. If you find some old photo frames, you can try touching up the edges to match the Shabby Chic feel in your home. Style any clock to make the perfect accessory for any home. If you paint just the rim in a gold or silver this will delicately add charm to your clock. Clocks come in many different sizes and can also be used as a focal point in your home. Having decorating your clock can really stand out to guests with your own personal vintage design. If you want to go for a really bold vintage look, I recommend styling an old grandfather clock. Most importantly old grandfather clocks can also add a real elegant feel into your home. 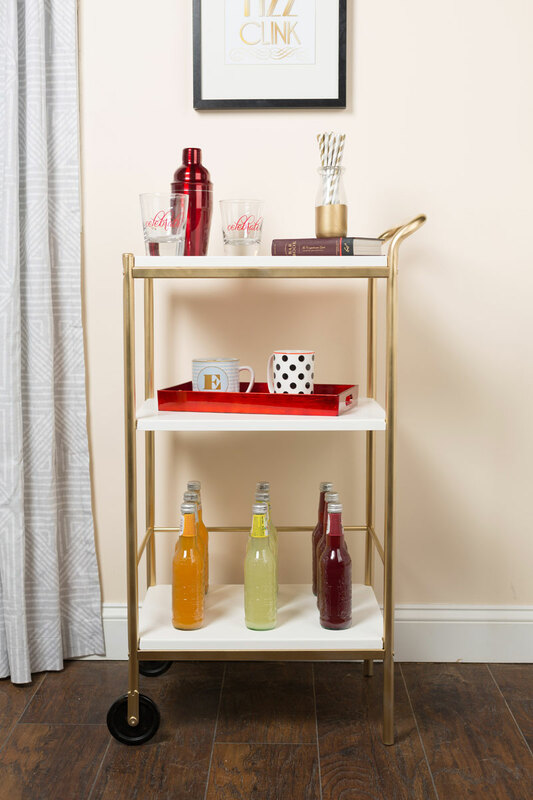 If you didn’t want to go too vintage, you could always try styling a drinks trolley. If you try re-coating metal with a gold- it’s really easy to see how life has been restored into this trolley. This makes for a statement piece at any party and you can show off your drink mixing skills to all your friends. For a more retro look rather than vintage, we recommend using a few different metal statement pieces in your home because this will really bring retro into your designs. If you would like to find out more on any tips on how to paint your furniture/metal please call us today on 01902 710057. Alternatively you can check out our Facebook and Twitter pages.